At Tahoe Fracture & Orthopedic Medical Clinic, we have extensive experience treating a variety of spine problems for men, women, and children in the Carson City, Nevada, area. We know how big of an impact having neck or back pain can have on an individual’s lifestyle, and our team is dedicated to developing comprehensive treatment plans that can help address a variety of spinal injuries and degenerative spine problems. Whether you have struggled with the symptoms of a spine condition for years and have had enough, or your symptoms have recently appeared and you are interested in exploring the options available to you, our highly trained staff of spine specialists will be glad to work with you. 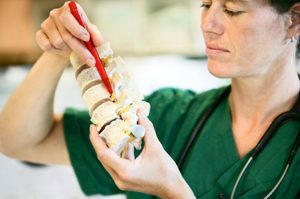 If several weeks or months of conservative treatment fail to deliver the results that the patient expects and the spine problems do not alleviate, surgery may be an appropriate consideration. At Tahoe Fracture & Orthopedic Medical Clinic, our highly trained, board-certified spine surgeons specialize in a number of different surgical procedures designed to alleviate nerve compression, stabilize the spine, and help individuals return to their normal routines. Some examples of the surgeries we offer include discectomy, fusion surgery, and disc decompression. To learn more about how the staff at Tahoe Fracture & Orthopedic Medical Clinic can help patients with spine problems in the Carson City, NV, area, contact us today.